Jack joined the RAF at Cardington in Bedfordshire in 1940. With a trade of Flight mechanic ( engines ).he was stationed at Marham in Norfolk and Marham Decoy from July 1940 to April 1942 which was a dummy airfield to tempt enemy bombers away from the main base of Marham. Duties there involved continually moving dummy aircraft around and one crazy airman who drove down the simulated runway at night with lights on pretending to be a plane landing. Then he went to EGYPT. in the club-room, later on at 14:00 "Funny Feathers" is playing Jazz for a couple of hours. 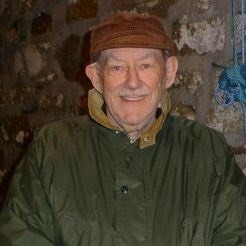 Paul Church is given £254k by lottery. A WEST Cornwall church has been given more than a quarter of a million pounds for a stained glass window restoration project. 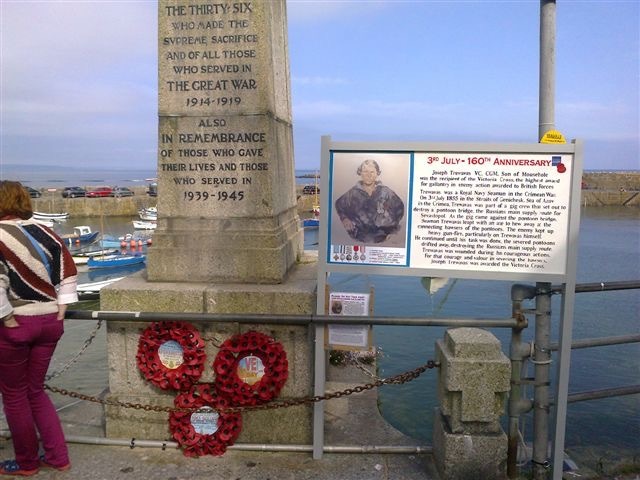 St Pol de Leon Church, in Paul, has received a confirmed grant of £254,000 from the Heritage Lottery Fund in recognition of its work in “celebrating peace” through the restoration of its significant First World War memorial window. The project aims to restore a unique stained glass window, designed by Robert Anning Bell in memory of Torquil Bolitho, who was killed during the Second Battle of Ypres in 1915. 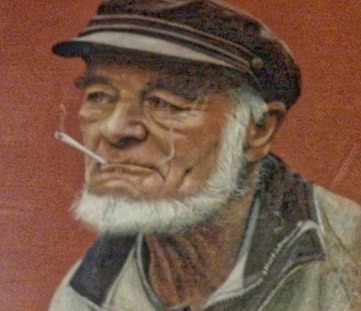 The centenary of the Battle of Jutland is being commemorated in 2016. 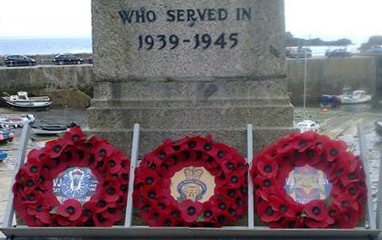 The Legion is encouraging communities to organise their own local commemorations to complement the National event being held in the Orkney Islands. Visit our Jutland 100 page to download a toolkit to help you arrange an event near you. 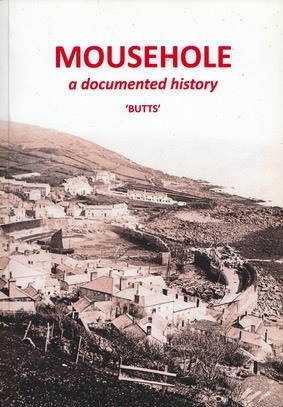 So sorry to learn of the death Nov 2015 of Mike 'Butts' Buttery of Mousehole. 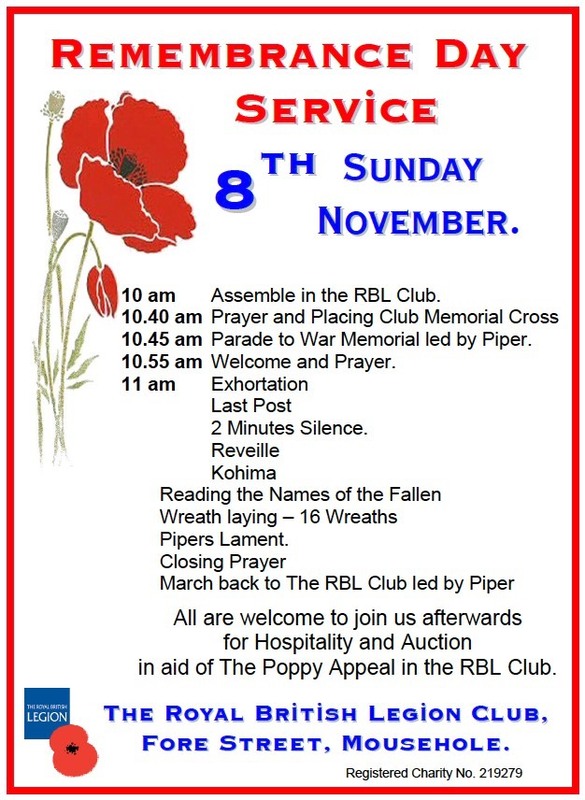 There will be a short service; the Exhortation, followed by a silence, and the Kohima. 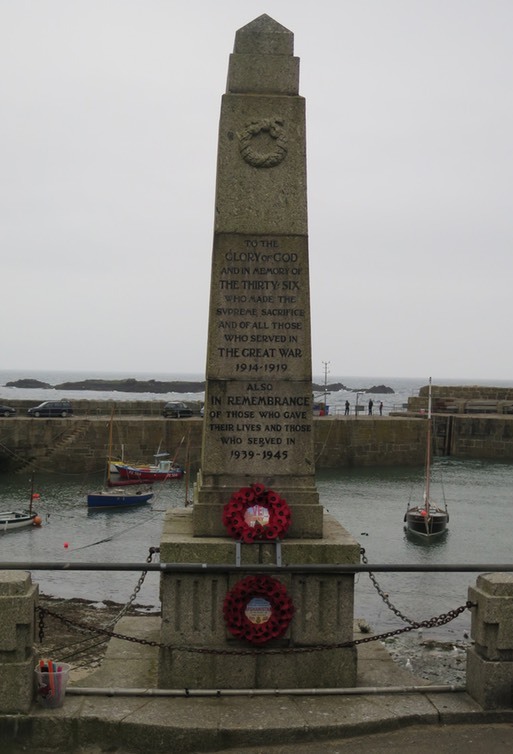 100 years ago on the 13th May 1915 We remember the lose of five men from Mousehole . 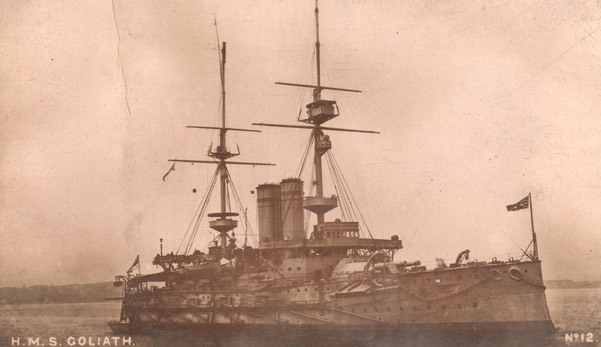 When HMS Goliath was sunk at Gallipoli. John Blewett, William Harry, Everett Richards, Mark Wallis, Richard Wallis. Please feel free to attend this commemoration. 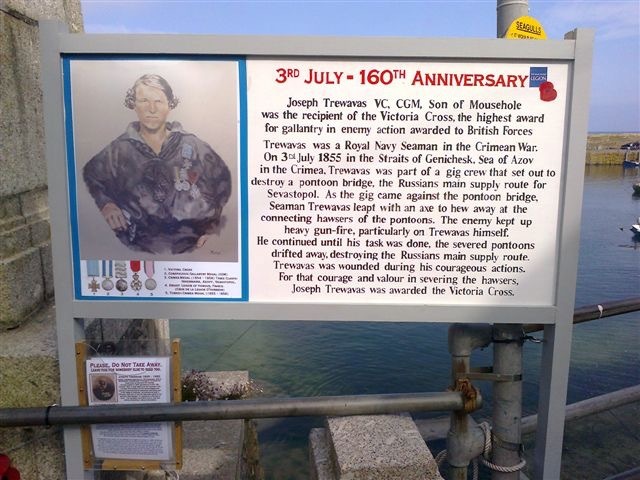 MOUSEHOLE war veteran Edwin Jeffery is used to having a chest full of medals. 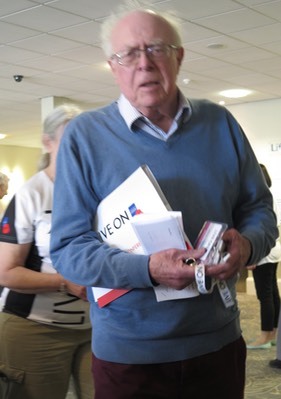 But this year the 91-year-old – who 70 years ago this week was part of the D-Day landings in Nor- mandy – has a little extra weight on his lapel. 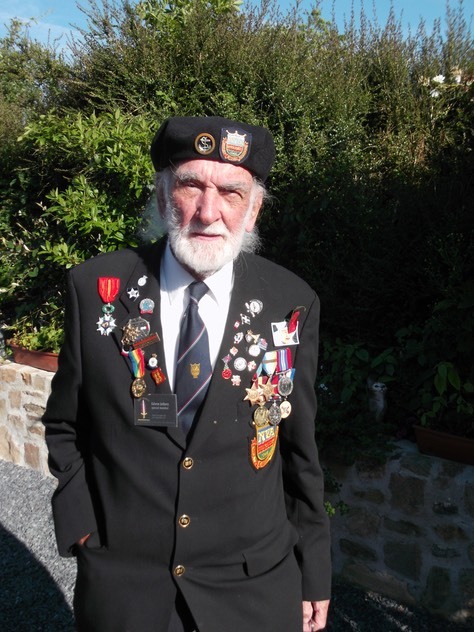 The Royal Navy veteran was presented with the Legion d’hon- neur on Thursday – France’s highest honour – in recognition of his part in liberating Europe from the racism, bigotry and intolerance of the Nazis. 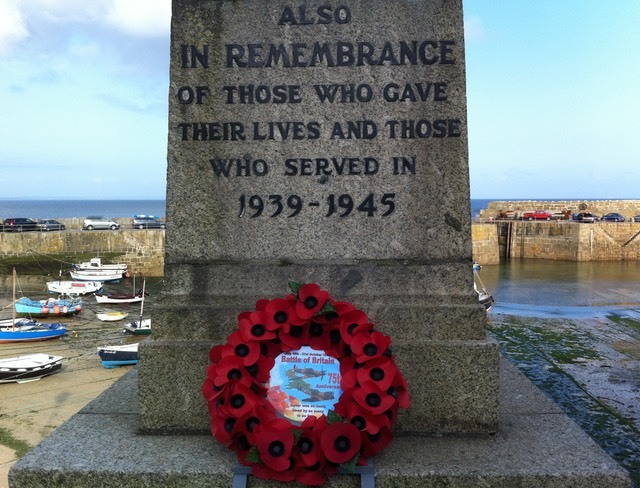 The presentation took place as the eyes of the world were on Nor- mandy, and particularly Arro- manches, the small town at the centre of Gold Beach, one of five allied designated landing areas. After the ceremony, Edwin, whose daughter Charlotte, originally from Morrab Road in Penzance, is with him in France, led one of the commemorative marches of veterans. Almost a century after the guns fell silent on the Western Front, the shells that they fired are being returned to Britain in a remarkable act of remembrance to mark the centenary of the outbreak of the First World War. Hundreds of brass fuse caps, which were primed to detonate on impact with enemy targets, lie scattered along the 450-mile former front line. Now the once-deadly objects are finding a peaceful new lease of life − as commemorative “poppies”, struck by the Royal British Legion. The conical 1lb fuses, once produced in their millions by munitions workers in Britain before being shipped to France and Belgium, are being melted down in a furnace in the Midlands at more than 1,000 degrees centigrade. The molten metal is poured into elaborate clay moulds in a painstaking procedure known as the “lost wax” process. 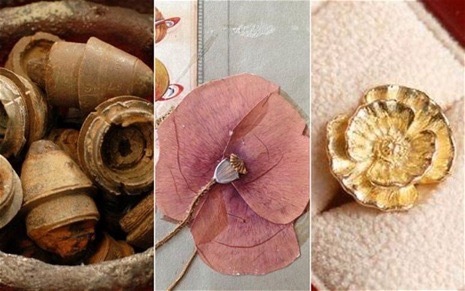 When the metal has cooled the moulds are broken open to reveal the crisp, ornate, golden-coloured poppies that are handcrafted into cufflinks and lapel pins. Each one is polished, before being engraved by the Assay Office with the dates 1914-1918 and presented in velvet-lined wooden boxes with a certificate of authenticity. 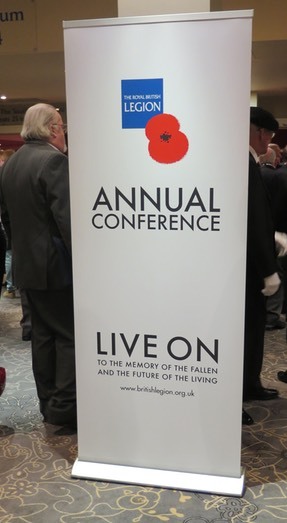 The Royal British Legion will put the mementos on sale in June in time for the centenary of Britain’s declaration of war on August 4, 1914. 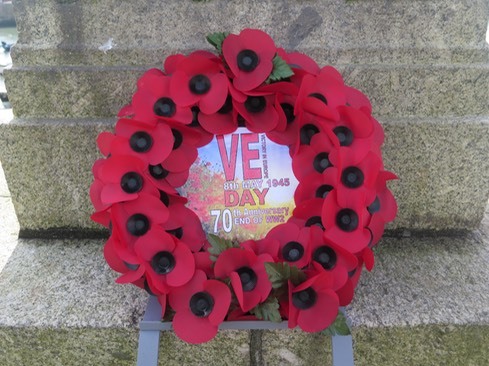 It hopes that many of its 350,000 members, as well as thousands of members of the public, will buy the poppies to raise money for its work supporting serving and former Servicemen and women. “I stumbled across the idea when researching a book into historic artefacts still visible on the Somme and in Belgium,” said Christopher Bennett, who founded TMB Art Metal, a London firm which specialises in creating jewellery and works of art from the parts of cars, trains and aircraft. TMB was formed in 2005 following the excavation of a Battle of Britain Hurricane fighter which crashed into Buckingham Palace Road in 1940. Parts of the aircraft were made into limited edition sculptures. 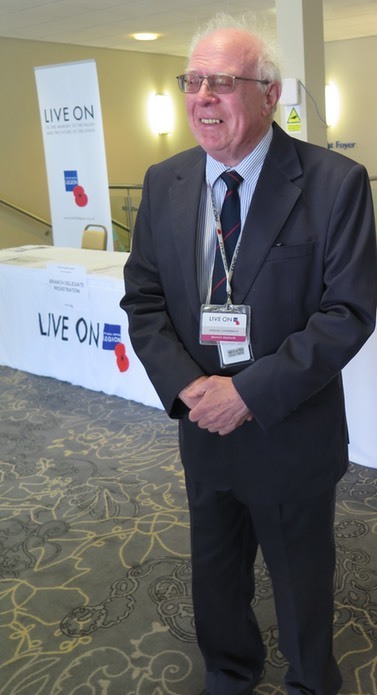 Brian Gray, the Royal British Legion’s Poppy Shop buyer, said: “These poppies really are special. For us they are a direct link right back to the battlefields. It feels like reaching out and touching history. The design for the lapel pins and cufflinks, which are 1.5cm across and weigh 5g each, is based on a poppy sent back from no man’s land in 1915. 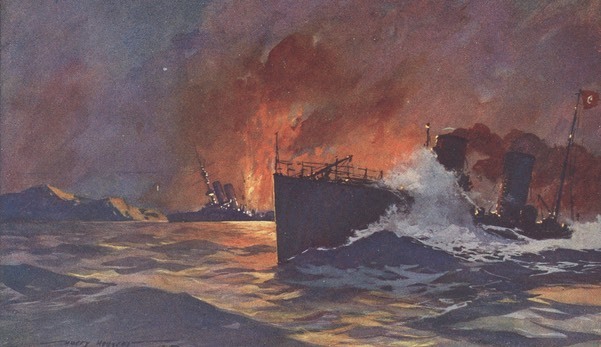 It was preserved by Private Len Smith, who kept an illustrated diary documenting his exploits during the First World War, which was published in 2009 under the title Drawing Fire. The flower was sandwiched between the pages of the book and preserved. Pte Smith’s descendants agreed that it should be used as the basis for the Royal British Legion project, and a delicate master sculpture was handcrafted by York-based artist Stephen Allen. 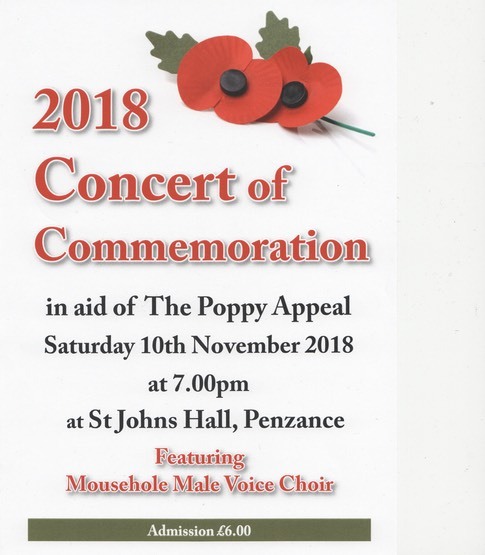 All profits from the sale of the poppies will go to the Royal British Legion. Mr Bennett has agreed to recover only the costs incurred in producing the objects. He plans to follow up the initial design with special editions marking each year of the conflict.